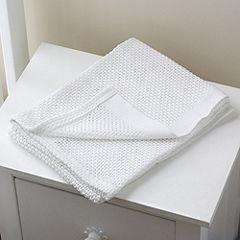 Sainsburys have this baby cellular blanket on offer for half price at the moment. Great price for the size, it will fit cot/cotbed. Only available in white. Half price at just £4.00! Cheapest I have seen them of this size. Product overview- Cellular blankets have been used by generations of mothers to keep baby warm, and for good reason: light and warm without being bulky, soft (ours are 100% cotton) and easy to keep clean. They also have good reviews! these are lovely and soft - compared to Tesco which stayed stiff and scratchy no matter how we washed them. hot.